European and Chinese companies share common issues relating to innovation: European companies establish R&D centers in China to augment their capability to serve the Chinese market and to provide new innovations to their global operations. Chinese companies have ambitions to boost their innovation capability. How to do it? This was the theme of a conference arranged by the European Foundation for Management Development (EFMD) and China Europe International Business School (CEIBS). 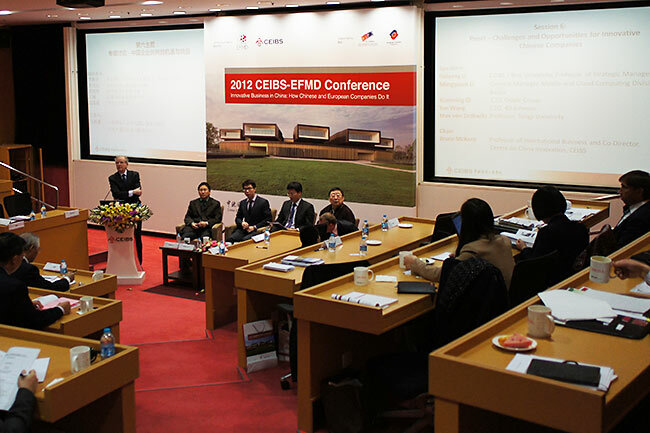 EFMD-CEIBS conference on innovation held in Beijing. The conference had sessions on various aspects of innovation in China both by Chinese and European companies. The conference was held during two days in the end of November, 2012 on the CEIBS campus in Beijing. The two days were organized along a series of sub-themes and most sessions were arranged as combinations of short presentations and panel discussions with invited guests from academia, multinational companies and Chinese companies. 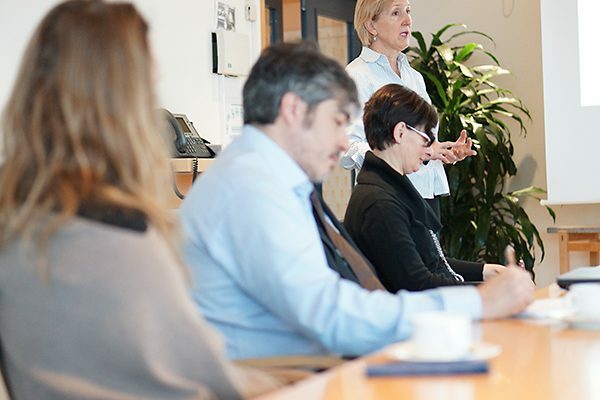 Multinational companies such as GE, Huntsman, Novo Nordisk, Philips, Shell and Telefónica were represented by senior strategists, mainly from HR, R&D and business development functions. Many of the Chinese companies represented may not be so well-known in the West but they are often big companies in the Chinese market, e.g. Baidu. This is a web service company and the dominant search engine provider in China with 56 % market share. The company has about 20,000 employees and was represented by its general manager for mobile and cloud computing division, Mr Mingyuan Li. Conclusions from the conference? Well, one conclusion is that there is no simple solution but an entire system of coordinated activities (market research, talent management, leadership, innovation processes … ) needs to be in place for innovation to happen. 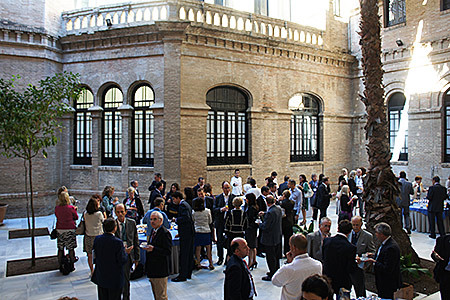 The conference added a lot of value since it let the different elements of innovation to be highlighted. Innovation is one of those topics where it is not possible to provide one single, general prescription. Instead, it is about embracing the complexity of the topic and then translating it to an implementation in each specific case. 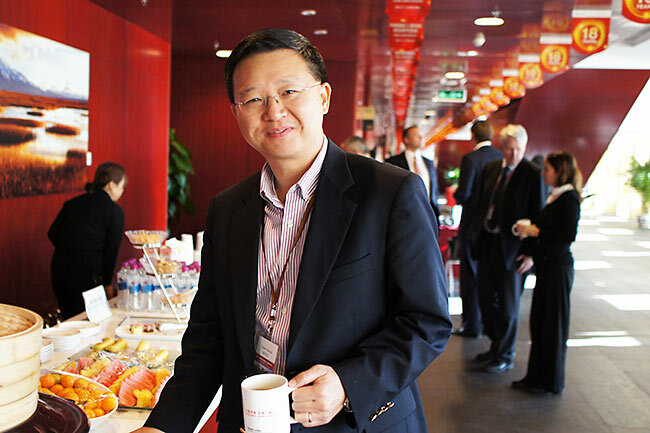 One of the presenters, Dr. Xiangli Chen, President, GE China Technology Center during one of the coffee breaks.